Planning a Wedding or an Event? We help you to plan that perfect event. Please see some our our menus linked at the bottom of the page. a highly experienced catering company based in Portsmouth, you will be able to relax knowing that your party will be seamless. From your initial enquiry till your last guest leaves, everything will be taken care of, leaving you stress free. 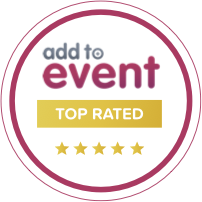 As outside caterers we have seen it all, we’ve worked in the smallest of areas to the grandest of stages and yet we always provide outstanding service and produce exceptional standards as party caterers! If you are looking to celebrate a milestone birthday or want to bring together family and friends, we will be able to take your vision and turn it into a reality. This is why we have gained a fantastic reputation as the caterers of choice in Portsmouth. The secret of a memorable event or party lies in the seamless combination of delicious food, stylish presentation and impeccable service. Your food will always be beautifully presented, served and timed to perfection. We pride ourselves on designing the ideal menu for your occasion, please see listed below a few suggestions. Contact us in the first instance to discuss your requirements.